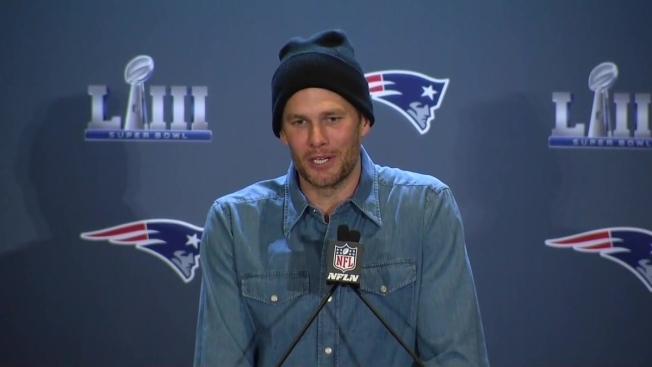 Patriots quarterback Tom Brady talks about the mental fortitude necessary during the regular season. President Donald Trump is reportedly wishing Tom Brady, Bill Belichick and Robert Kraft all the best ahead of this weekend's Super Bowl. In an interview with The Daily Caller on Wednesday, Trump said Brady, Belichick and Kraft's "great chemistry with each other" was the key to the New England Patriots' success as a team. "Brady plays better under pressure than he does in a regular game. I mean, that last two minutes, the way he was throwing the ball down the field -- they were bullets," Trump reportedly said about the AFC Championship Game against the Kansas City Chiefs. Trump went on to tell The Daily Caller that he's "very good friends" with the trio, and brought up the head coach's endorsement the night before the 2016 election. It appears the president's support is reciprocated, at least by Kraft. The Patriots owner told Fox News Friday morning that he values the Republican president's support of the team. "Well, we can use every fan who wants to support us, from wherever they are in their standard of life," Kraft said. The Patriots face the Los Angeles Rams on Sunday in Atlanta at the Mercedes-Benz Stadium at 6:30 p.m.